Simply put, assessments are evaluations. They play a valuable role in improving outcomes, but creating one from scratch is overwhelming. But when you start with one of these templates, you can easily create a customized assessment. Pick one that suits your needs from the list below, sign up and discover just how easy you can customize any template. It’s easy to add your own background images, logos, and text styles. These content templates contain the questions and answers for specific used cases, but are fully customizable! Our assessment builder allows you to fully customize an assessment depending on the information you’re looking to gather, and the format used to gather that data. Some users choose an open-ended question format, while others use checklists to gain specific insights. Keep the assessment short by only showing relevant questions for each respondent. Let people take survey on-, offline and on any device they want with our offline functionality. 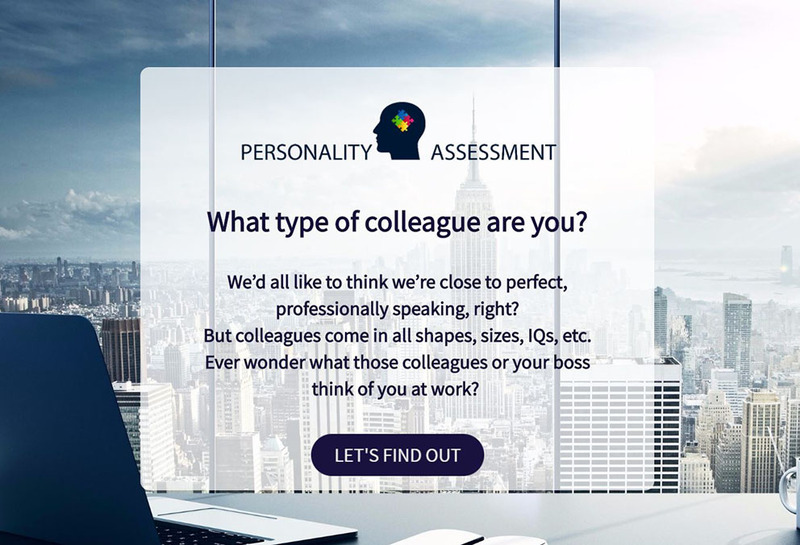 Assessments with a customized layout are more personal and get you higher response rates. You can even remove any mention of Survey Anyplace with our white label solution. I think Survey Anyplace is a great tool for marketing managers working in a B2B environment like us. But also for growth hackers that are looking into new ways to set up marketing. It’s just a simple, easy to use tool! And when we simply take a look at the numbers, we’re very pleased with the results. We’re very close to our 1000th respondent in just 6 weeks. Which is great if you know that we aimed for about 200 responses when we first started out.